I “wrote” this blog post during a three-day, writing-free recovery weekend after having worked eight days straight plus overtime. It’s the mental equivalent to running a marathon. This latter point is particularly true when it comes to treacherous, northern mountain highways with a high risk of sudden slides, snow, and wildlife, where night time comes quickly, and the route is more winding than a century’s old river bed. 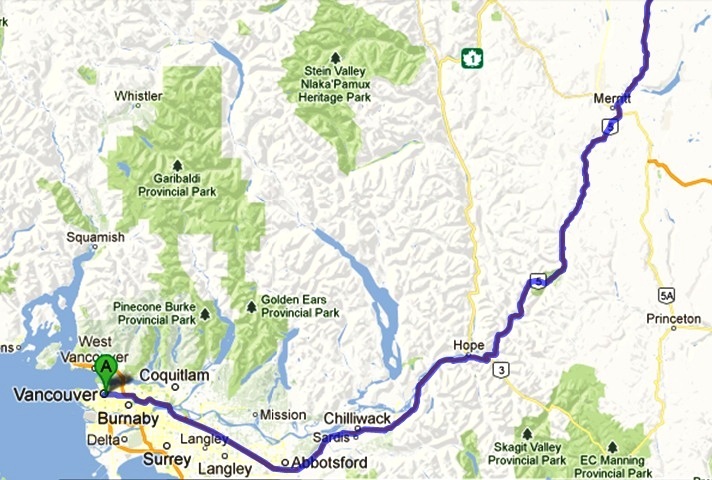 Yes, I’m looking at you, Coquihalla Highway (BC Highway #5). Years ago when I still worked in the natural resource conservation field, I had a job in a government-run park in rural southern Ontario located about four hours away from Toronto – a distance most of my colleagues and considered too long to drive on any weekends that weren’t long ones, no matter how much we yearned for bustle of the big city and to visit family and friends. Vancouver-based thriller/mystery/fantasy author P.A. (Perry) Wilson might beg to disagree that such a distance being too long for weekly travel. Once a week, for her work, she is forced to drive 10 hours round trip in a single day, part of said journey taking place on the above-lamented Highway#5. Obviously, scrapping the travel isn’t an option or she would have done so already. Perry goes on to indicate, “I give myself permission not to write”, which is useful concession to have made with herself, for it seems that she’s already tried to, and that it only exacerbates the mental-exhaustion problem brought on by so much driving. But I know Perry personally from our involvement in the same writers’ group: she is a prolific indie author of the sort who could write seven novels in a year left to her own devices. I’m sure the idea of missing even one day of writing is like a personal affront to her. Which is why we need to take a closer look at what, exactly, “writing” really means. According to author, former literary agent, and popular blogger Nathan Bransford, it’s not necessary to write every day. Personally, upon examining my own work habits and temperament, I find I don’t agree with this statement. Yet part of my disagreement hinges upon the way I define “writing” for myself. Thus, on the days I’m unable or unwilling to sit down and write-write, there’s still a whole lot of “writing”-writing being done. It just requires a bit more flexibility in what one considers writing. This re-defining of what is writing is the basis of my advice to you, Perry, and to anyone else who can’t always writing in the conventional sense. Since we already know you’re unable to add new words to your WIP the day after your travel-day, the focus of this dilemma therefore needs to shift from the question of how do we extract blood from a stone to how can we recharge your creative batteries faster. I believe the answer to this is to ensure your non-writing time is nonetheless still productive. Perhaps even your driving time as well. If you don’t already do so, perhaps thinking about your WIP while on the road – visualizing like a movie what’s currently happening, and what’s going to happen; planning future scenes; even drafting sentences and paragraphs in your mind – will help get your words flowing again faster in subsequent days. You will want to do this visualization during your most awake and unoccupied time of the day, so that may be your departing drive, or only midway through it if you have to leave early in the morning and have to wait for the coffee to kick in. Thinking about your WIP that night while in bed might help as well, if, rather than send you reaching for your pen, it works like a bedtime story to put you under faster for a better night’s sleep that might leave your more refreshed and recharged the next day. If visualization doesn’t help get you back in a writing mode, another way to tell a story without writing is with actual images. Can you draw or sketch? You can outline upcoming scenes using the storyboard method. It’s not just for motion pictures and comics: novelists can use storyboarding to map out scenes with lots of complicated movements, like a chase or a fight. You just draw it frame by frame and (hopefully, sooner rather than) later write up what you’ve drawn. Even stick figures will work. Or pictures from magazines. Visual artistry isn’t the point; creative rejuvenation is. If you’re just not a visual person in general, you can try recording yourself dictating ideas or sentences about your WIP. You can pretend you’re Barbara Walters and interview some of your characters. Ask them the tough questions and see if you can make them crack. See if you can learn something about them you didn’t know before. All characters have their secrets. Yes, your voice will sound funny on playback. Everyone’s does. Try not to let it bother you. You could try reading someone else’s story that day instead of trying to concentrate so much on your own. Reading always had the indirect result of bolstering out own writing in both subtle and not-so-subtle ways anyway. You could make your reading even more productive by using it as an opportunity to research any information required for your WIP: e.g. weapons, locations, types of professions. Or, if you want to try returning to the written word without ado, perhaps the written word written in a different way will be more effective. Rather than sentences and paragraphs, maybe rough notes of plot points in bullet form, handwritten while relaxing to some music or a TV show/movie that inspires your writing. You may or may not want to do this as free- /steam-of-consciousness writing. 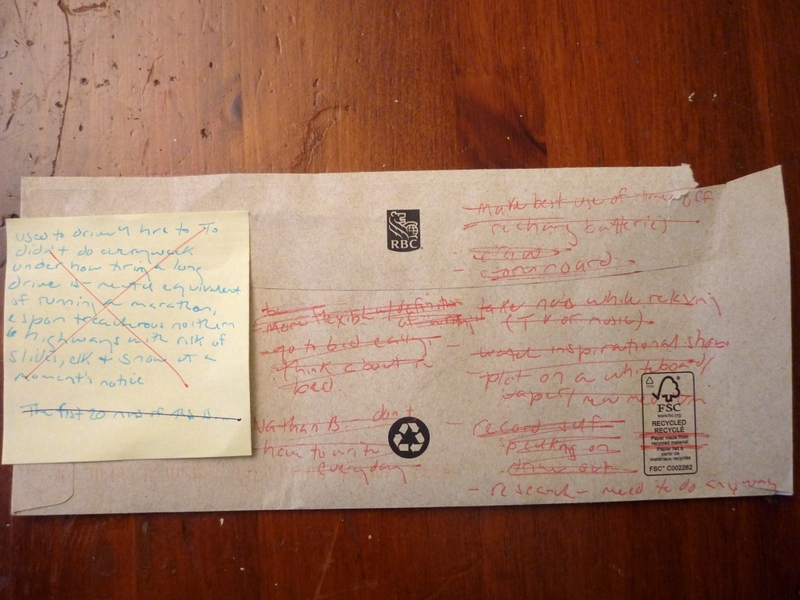 Or maybe using a completely different writing medium than what you’re used to for story writing would help: a white board, the back of an envelope, a peeled-off juice label. Perhaps the challenge of completely filling in the space with words will throw the reset switch on your brain and allow the creativity to come coursing through once again. Perry, it is my sincere hope that at least one of these suggestions helps you. I’d also love to hear either your thoughts on what I’ve come up with for you or the results of any attempts to try it. Please consider writing a companion post to this one on your blog, or either way, let me know how it goes! When you have passion can you find energy? Check out my Distractions & Subtractions page to read related posts or to submit your own writing subtractions. I’m writing a blog post for everyone who makes a submission. This entry was posted in Distractions & Subtractions, Post series, Writing and tagged (I Should Be) Writing, How to write, Ideas, Imagination, Inspiration, Novel, Novel writing, Writing, Writing inspiration. Bookmark the permalink. Hi, What a great post. Yes – I drove the Highway to Hell once a week – now I’m flying up until the spring (it doesn’t save much time, but it’s less wearing). Your definition of writing is perfect – I also count the head stuff as writing and when I’m planning a new book, the drive is a great way for me to percolate ideas. It worked particularly well with the new NaNo book, which came out of thin air a few months ago. I listen to podcasts while I do the trip – craft, story and comedy podcasts – which helps keep the creativity going for me. I’m posting tomorrow, so look for my companion piece then. Thanks Perry. 🙂 That’s really good that you’re flying up their now; that highway is utterly treacherous in winter. Plus, not only is flying less mentally exhausting for you, as you say, it’s also an hour or so of gap time that you can fill with more writing if you so choose. Total win-win! Great post, Janna. I’ll be doing a lot of driving in January, so I’ll have plenty of time on the road to ‘think’!